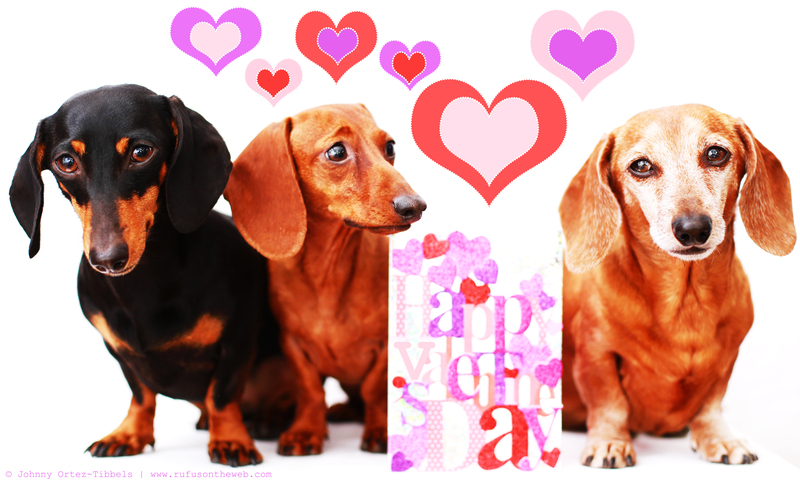 Wishing all of our dachshund friends and their humans a very Happy Valentine’s Day! Don’t forget today is your last day to take advantage to the Valentine’s Day promotion. Don’t miss out. 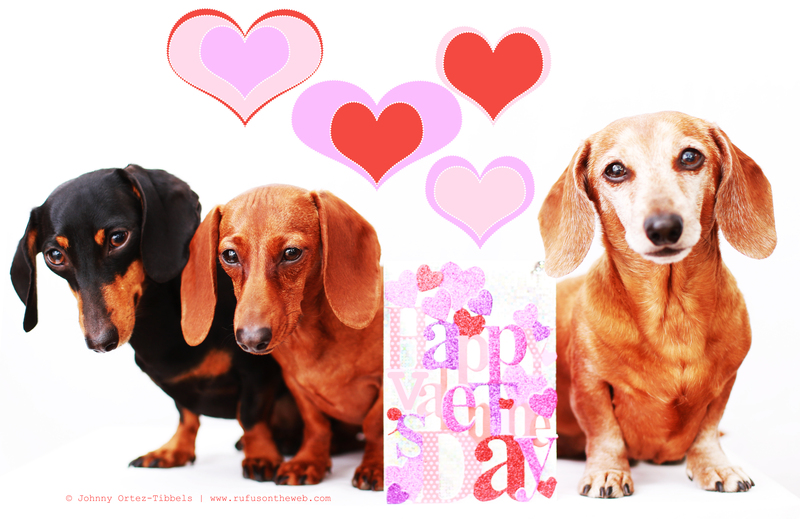 This entry was posted in Emily, Lily, Rufus and tagged #black and tan dachshund, #dachshund, #dachshund puppy, #red dachshund, #smooth dachshund, #ValentinesDay #Valentine, doxies. Bookmark the permalink. 3 Responses to Happy Valentine’s Day!